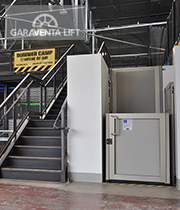 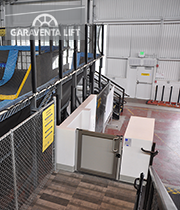 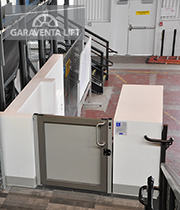 Summary: This location used two Garaventa Lifts to solve accessibility issues in separate areas. 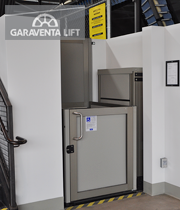 The application on the left is a Genesis Opal. 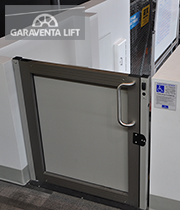 The lift features a standard sized platform with the popular straight through on/off configuration. 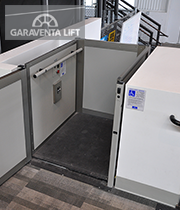 This type of platform configuration is popular because it is very user-friendly and cost-effective.